Are you looking into applying for graduate or professional school? Attend the second Graduate School Prep Seminar. 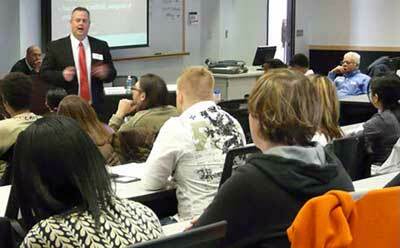 This seminar provides students with valuable information about the application process. Topics such as the finding the right school, financing an education, creating a grad or professional school profile and general tips and advice will be discussed. Rraffle prizes such as GRE vouchers, test-prep books and NIU gear will be raffled off throughout the day. Free lunch also will be provided to all students who register. The Graduate School Prep Seminar takes place from 10 a.m. to 4 p.m. Saturday, Oct. 1, in the McCareins Classroom of the Yordon Center. Space is limited, so early registration is recommended. Registration is available online. Call (815) 753-8154 or email engage@niu.edu with questions.